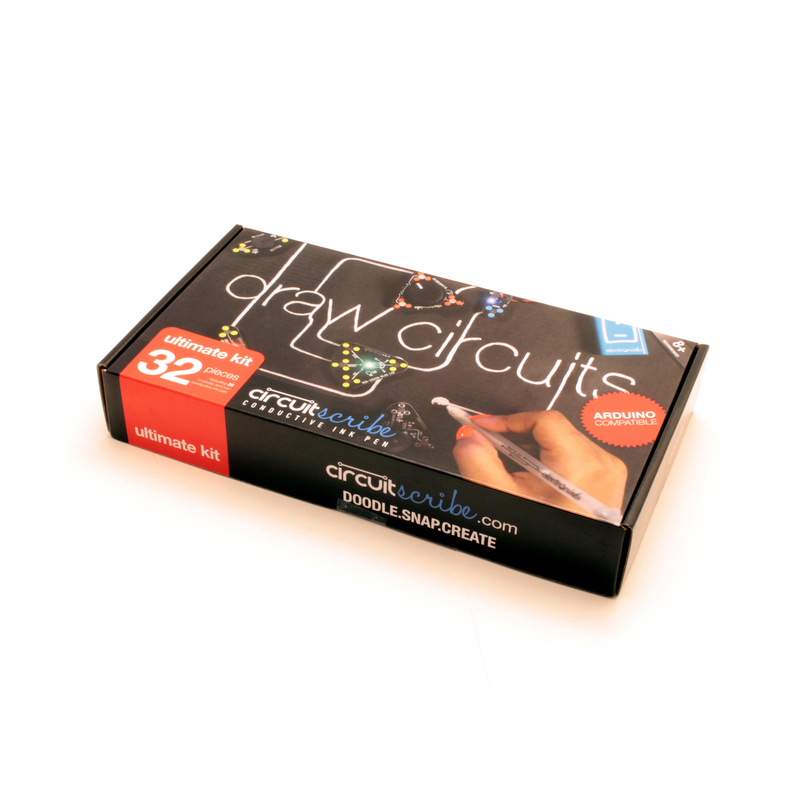 Everything you need to create dynamic and fun paper circuits. 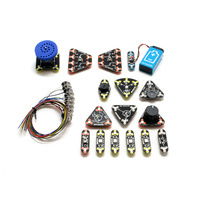 The kit features 10 magnetic connection cables let you hook up your paper circuits to programmable platforms like Arduino. 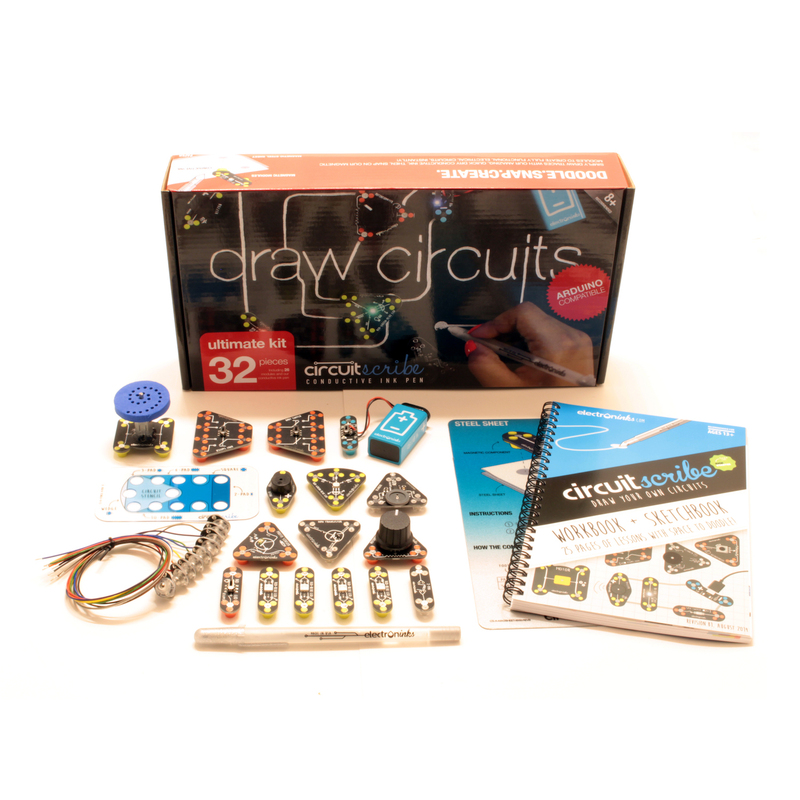 (Arduino not included.) 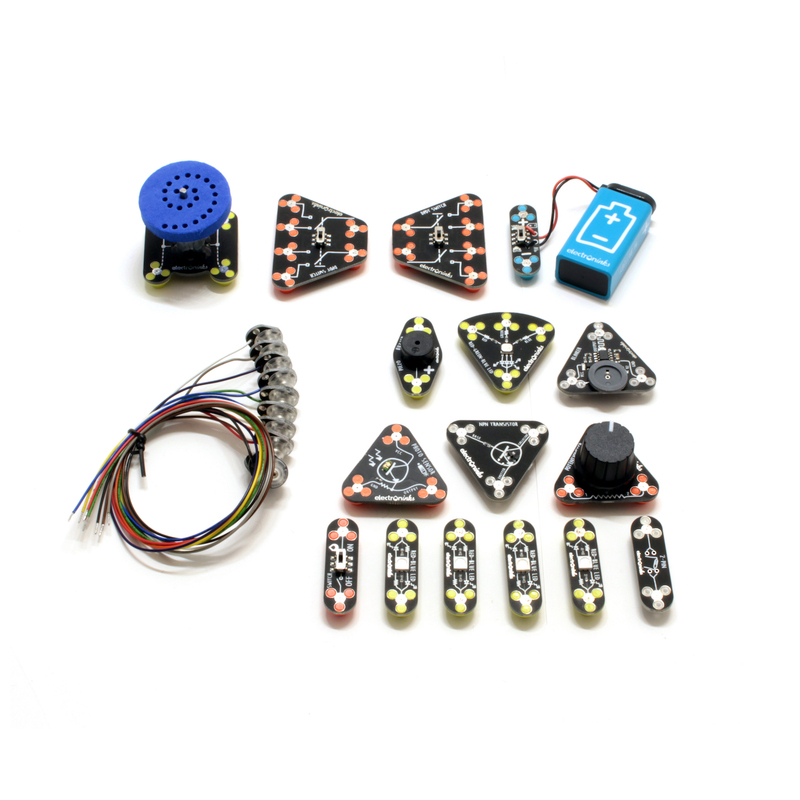 The kit includes everything from our Maker Kit plus extra LEDs two DPDT switches and a motor (see below for full list). 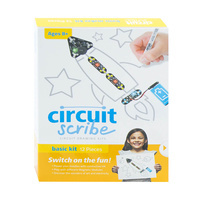 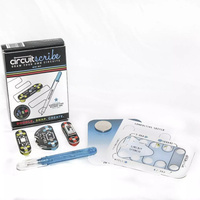 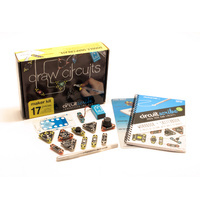 With the Ultimate Kit you can make complex robust circuits while still using our accessible Circuit Scribe technology.